In the final media availability of the year, Galaxy striker Robbie Keane, whose 15 goals and 11 assists earned him the votes for the club MVP award it was announced today, and Defender of the year Omar Gonzalez reflected on the past season . Keane said he will not go on loan to an EPL club this winter and in fact will undergo two procedures in London starting this week on his longstanding Achilles issue. Finally, Keane said he had exchanged texts with Mike Magee after he suggested to Irish newspapers that the former Galaxy striker could qualify to play for the Republic of Ireland via his grandparents. “His phone has been on fire the last couple of days,” Keane said. MLS released its 2014 schedule today, the earliest I can recall the league getting organized so we can plan our calendars. 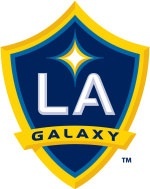 No obvious 2014 vroad trips for Galaxy or Chivas USA fans, however. The Galaxy schedule is here. The Chivas USA schedule is here. And against this backdrop is this week’s column. The Merseyside derby between Liverpool and Everton gets the weekend’s games under way at 4:45 a.m. on NBCSN (ulp), title contenders Arsenal face Southampton at 7 a.m., while at 9:30 a.m. on NBC it’s West ham united taking on Chelsea. At 5:30 a.m. Sunday it’s Manchester City-Spurs, while Cardiff City-Manchester United follows at 7 a.m. Both games are on NBCSN. Preview every game this weekend here. Missing live soccer already with both the Galaxy and Chivas USA concluding their MLS seasons early? The indoor Ontario Fury concludes its inaugural season opening three-game home stand with a 4 p.m. Sunday game against the unbeaten Las Vegas Legends. Chivas USA defender and longtime U.S. international Carlos Bocanegra will be on hand to sign autographs. More on the Professional Arena Soccer League is here. Kevin Hartman in his prime in a Galaxy uniform (Daily Breeze file photo). 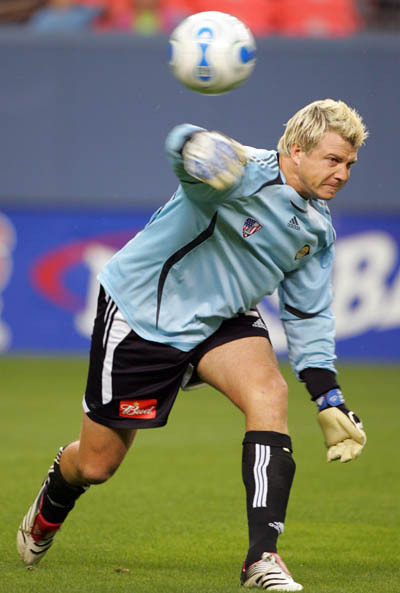 At least for one day, so the former Cal State Dominguez Hills and UCLA goalkeeper who grew up on the Palos Verdes Peninsula and spent a decade as a fixture between the posts in LA can retire as a Galaxy player. I’m sure the idea is a long shot, but as far as public relations go it’s a worthy effort to honor the only MLS player who made in excess of 400 appearances in the league and won two MLS Cups with the Galaxy before moving to Kansas City. The mere fact the LA Riot Squad would float the idea shows how well regarded Kevin Hartman, who officially retired Thursday as a member of Red Bull New York, was regarded by fans in Southern California. Hartman, who also made five appearances for the U.S., was affectionately known as El Gato, although I always thought his positioning owed as much if not more to his success as his agility. Hartman made around 250 appearances for the Galaxy and was also an articulate spokesman off the field in a locker room full of quotable, perceptive players that included Chris Albright, who also retired this season with NYRB. I still remember sitting with him in the then Home Depot Center stands before the stadium officially opened in mid-2003 with Hartman a little in awe of the stunning soccer-specific stadium he would be playing in before friends and family. Hartman was always like that: genuine, approachable and a pleasure to watch and talk to. Whether he retires as a Galaxy player or not, Hartman will always occupy a special place in franchise history. But General Manager Chris Klein could make himself and the club look good in the eyes of fans by re-signing Hartman, however briefly. 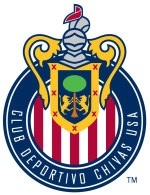 Not unexpectedly for a club with a mere half dozen MLS victories last season, hapless Chivas USA announced today it has declined to pick up options on or banished back to Guadalajara a slew of players who clearly were simply not up to MLS standards. Chivas USA announced today that the club has sent back defenders Mario de Luna and Jaime Frias as well as midfielder Edgar Mejia and forward Julio Morales to Club Deportivo Guadalajara. In addition, the club has declined options for goalkeeper Patrick McLain, defender Steven Purdy, midfielders Daniel Antunez, Marvin Iraheta and Josue Soto, and forward Jose Manuel Rivera. A number of them played major roles in the club’s awful season such as midfielder Mejia, who scored just one goal while appearing in 27 of the club’s games. Is MLS Expansion Club New York City FC Making the same Marketing Mistake as Chivas USA? It’s a question worth asking on a day when Orlando became the 21st MLS franchise and will start play the same season as New York’s Manchester City offshoot. Somehow I doubt that fans of Manchester United, one of the world’s best supported teams, will embrace the club over Red Bull New York. Sound familiar Chivas USA/CD Guadalajara fans? With the World Cup looming in Brazil and the MLS season entering its final stages, there’s plenty going on in the world of soccer. Get caught up with this week’s column. It’s fair to say longtime South Bay resident Sigi Schmid could well be sleepless in Seattle for a few nights at least until his job prospects with the Sounders and their demanding fan base are resolved one way or another. The injured Landon Donovan wasn’t called up for the pair of upcoming U.S. games, but the Galaxy’s Omar Gonzalez got the call, while Robbie Keane will feature for Ireland despite a longstanding Achilles issue and A.J. DeLaGarza is likely to make his Guam debut despite making two previous appearances for the U.S. in exhibition games. 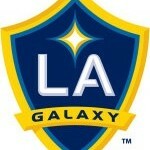 The Galaxy have already made their first signing of the off-season. Meanwhile, Mexico hosts New Zealand at 12:15 p.m. Wednesday on ESPN with both nations fighting for a final World Cup spot in Brazil next year. The U.S. Women’s National Team completed its 2013 campaign Sunday. Holiday Shopping Guide Part 1: Would you buy underwear from this soccer star? Because with the Galaxy season now over, there are bigger questions to be asked (sort of) like: What do you buy the soccer fan who has (almost) everything for whatever seasonal holiday you celebrate? How about a pair of Cristiano Ronaldo’s undies (well, not literally, but you get my drift). Ronaldo is well-known for his massive, um, ego so perhaps it should be no surprise the Real Madrid midfielder would take a page out of David Beckham’s, um, book and release his own line of underwear (I’ll leave it to the reader to insert obligatory Ronaldo anatomy joke, here). The CR7 underwear line comes in basic, fashion and luxury and retails and ranges in price from $22 to $30. And, don’t forget to tell mom, there are socks, too.